Lately, I’ve been a little bit frustrated about what in the world I’m doing, professionally, with my life. Yes, that’s right chickens, I’m going deep in this post. After spending college preparing for law school, and then going to law school preparing for the bar exam, here I am with a totally and completely different job description. Do you ever get that feeling as your filling in the landing card on your way into Heathrow- profession- what the HELL do I write?! My answers have been, mother, journalist, social media extraordinaire, web editor… so glad I spent those three years in law school! My sweet Husband always likes to respond to that question with- “well you met me didn’t you? !” Well, yes I guess I got something pretty great out of it. As most you ladies who read this are also ex-pats, I am sure that some days you feel the same. Many of you have had to give up your career when you moved across the pond, or are having a hard time figuring out what to do now that you have grown children… we all fill a little out of sorts in this regard at some point, don’t we?! About a month ago, I teamed up a great friend who has had a long career in PR and brought her on to my team at Hashtag Haute. So another addition to the job decryption.. ahhhhh! But then as the weeks have rolled on I realized, you know what, I really love PR. I love writing this blog, and I really like helping brands expand their social media presence. So what if I am not a lawyer, right?? My multiple jobs give me the opportunity to pick-up my children at school and be around for bath time. And even better, yet- its fun. 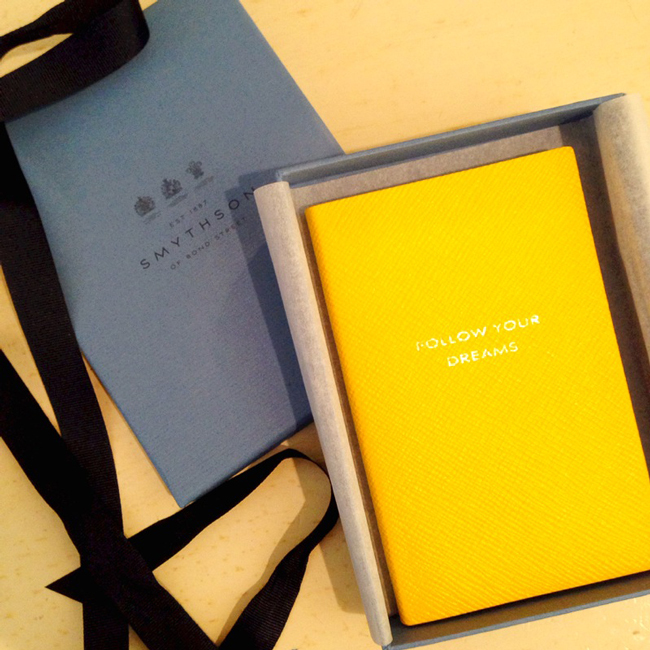 Get your own smythson Panama leather diary, here. This is a Sponsored Post by Smythson. All thoughts are obviously my own.